First impression from the charts: one line is smooth, others are not. 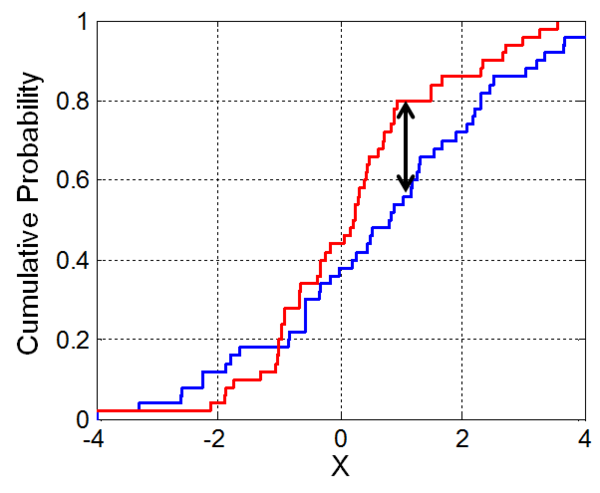 Empirical: the blue line shows the empirical distribution function, which is crunched from your data, so zig-zaged. Both lines in the right chart are empirical. 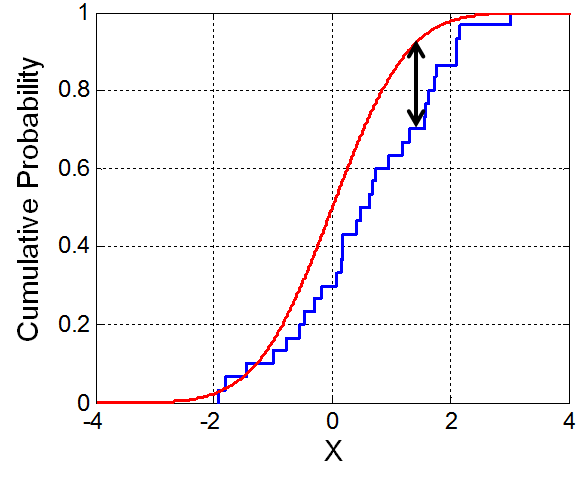 One-sample K-S test(left chart): test if one sample fits the reference distribution. The input should be continuous data.